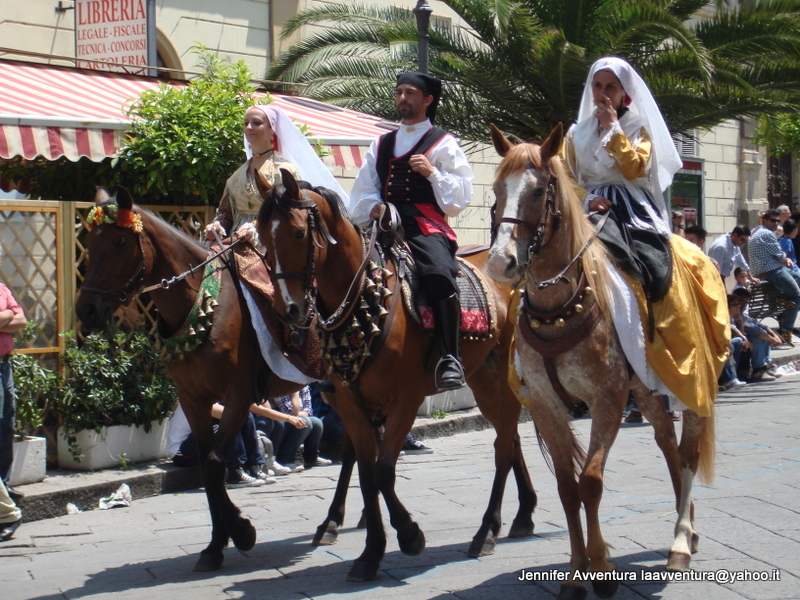 One hundred and twelve years have passed since the first Cavalcata Sarda took place to honor King Umberto 1 and Queen Margherita, who made a visit to Sardegna in 1899. 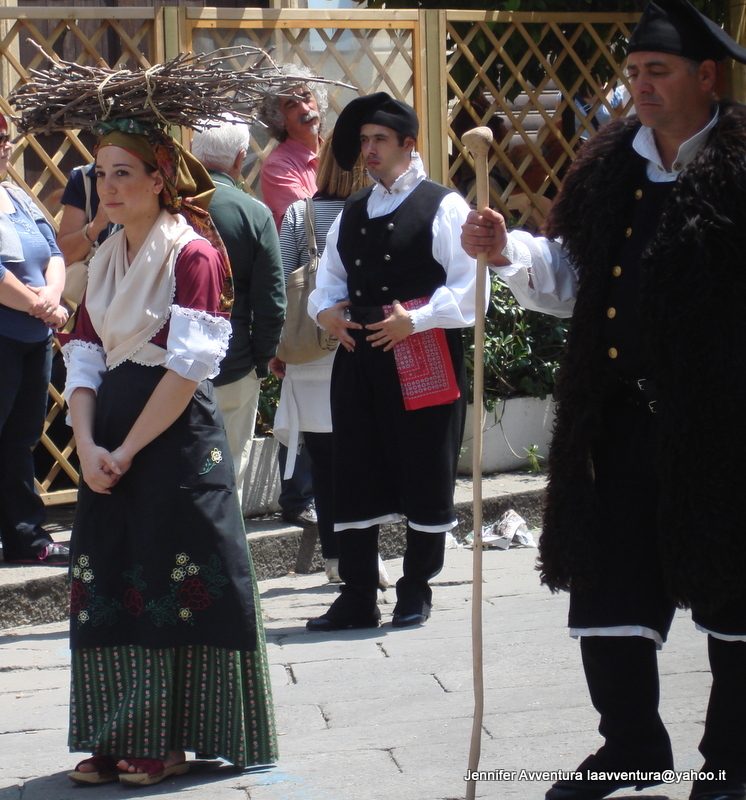 This colourful folk festival is held on the second-last Sunday of May, every year. 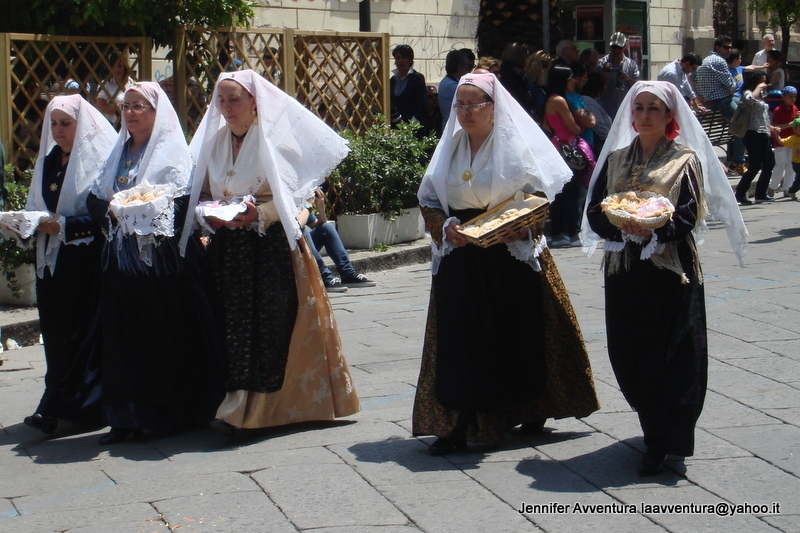 63rd Cavalcata Sarda – May 20th – 22nd, 2012! 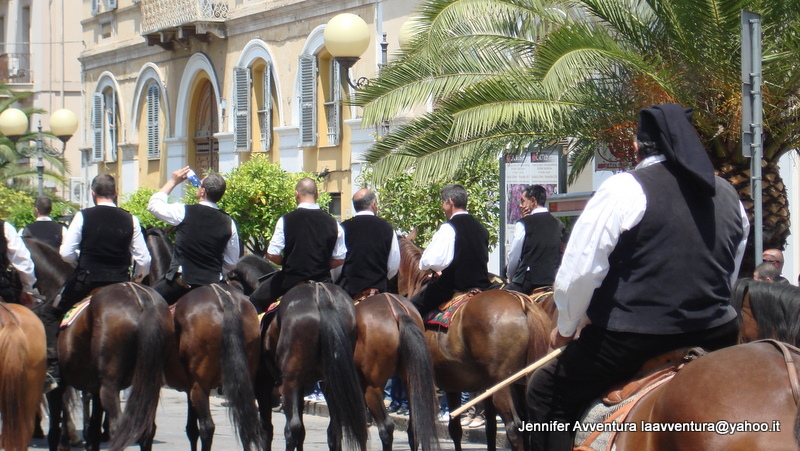 Traditionally, there was a large horse race throughout town, where thousands of manned horses would speed through the cobblestone streets of Sassari. In the last few years thecomune deemed this activity dangerous and moved the horse race to the Ippodromo (Domed stadium) in Sassari. 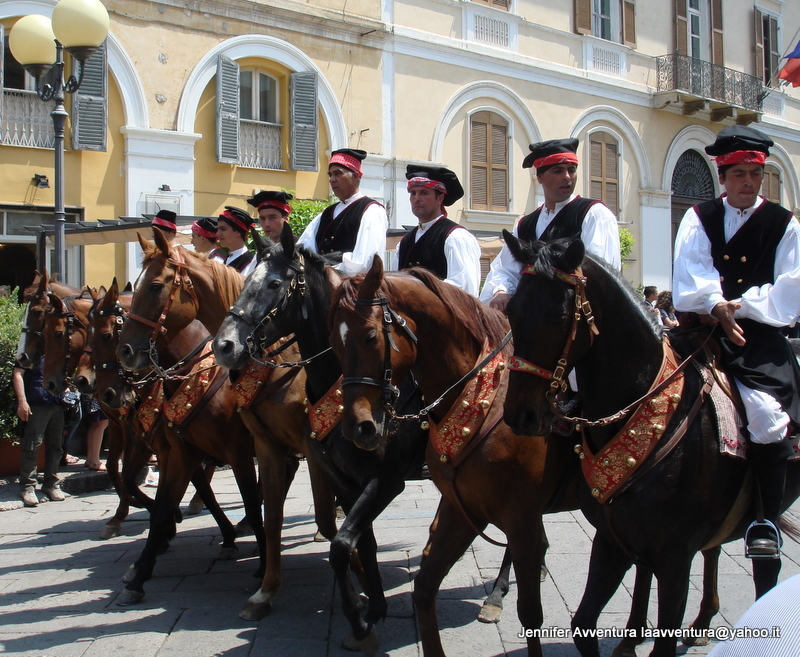 Sassari welcomes hundreds of horse-men and horse-women from every part of Sardegna. The procession begins with the folk groups, dressed in multi-coloured traditional costumes embellished with jewels and amulets. With them, they carry the traditional labour of the area(s): kindling for the fire, old-fashioned baked breads, vines from the vineyard, walking sticks, local cheese and wines. Traditional Sardinan music and singing is played out before the judging panel. Each town gives their best performance with the glory going to only one. The best part of this festival are the children. They never stop smiling. There is a beauty in their eye’s that only this island will understand. Have you been? Are you going? I’d love to hear your tales from this great event! Yes I have taken classes but she mostly taught “travel talk” so I need to find another class. Did it take you long to learn and speak? Does your husband family speak the old Sard? I’ll bet you have an amazing life living in such a beautiful place. Are you close to the ocean or inland? 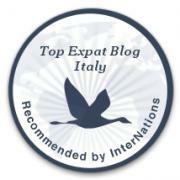 Keep up the beautiful work, it is just wonderful to visit and learn more about all of Sardegna. Have a beautiful day! May God Bless! I look forward to more of your travels and insight! Thanks. It took me several years to speak Italian so the Italians could understand me. In my area most people speak the local dialect for which there are no books to study! 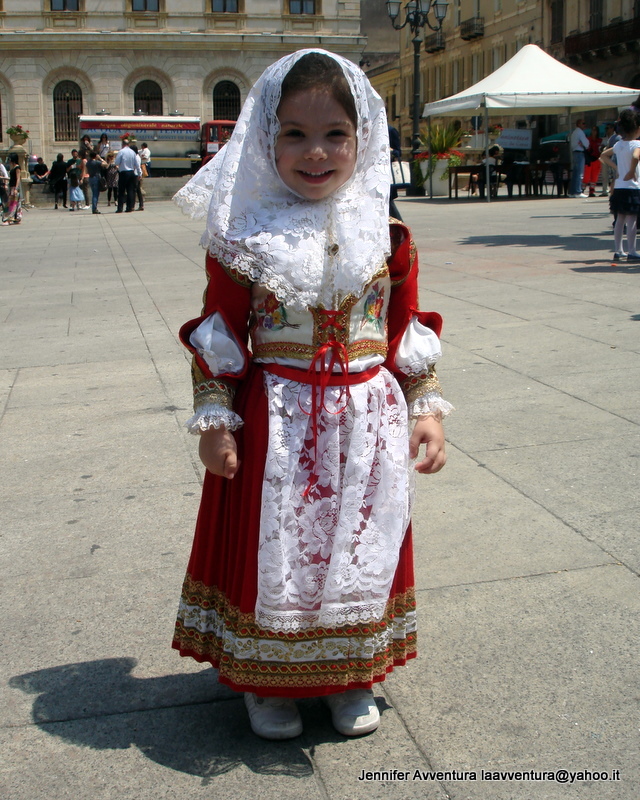 My father came from Anela, providence of Sassari, Sardegna. My husband, daughter and I went for the first time in June 2010 to finally meet my first cousins, my father sister’s family. Amazing, we loved them and it and can’t wait to go back. Now I wish I knew how to speak the language so I can converse with them, only two of their grandchildren speak and understand English! I enjoy your articles and the pictures of all the many beautiful places! Have a beautiful day! Thanks! May God Bless! Thank you kindly for your wonderful comment. Do you study Italian at all? When I first came to the island the only thing I could say was `ciao!` It didn`t get me very far in the first year … 🙂 Im glad you enjoy my article and photos. Wishing you a super day!